Avoid the crowds and experience the grandeur of Milford Sound from the seat of a helicopter. This exclusive two-hour ride via helicopter will take you the full length of Milford Sound and, weather permitting, land on a glacier in Fiordland National Park. 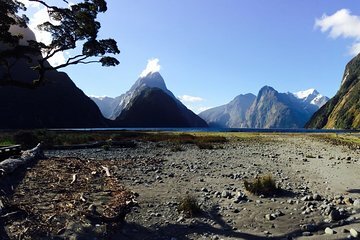 Listen to informative commentary from your skilled pilot during the trip, and stop for a short walk and photo opportunity at Milford Sound.